Tidbits & Insights For Saturday’s Popular Brooklyn Half Marathon! Well New York City, this weekend BROOKLYN takes center stage! This Saturday May 19th New York Road Runners will be hosting the largest half marathon in North America when 27,000 runners are expected to be set loose onto the streets of Brooklyn to wind up on the boardwalk at historic Coney Island! Its time for the Popular Brooklyn Half Marathon! Getting into the race can be a task as this year’s race was SOLD OUT in just a few hours! So if you got in and will be one of the 27,000 participants – congratulations! However now you have to run this race and here you are in the home stretch of preparations. No worries, I’m going to try and help you out! Unlike most NYRR runs, you won’t be able to pick up your bib at the NYRR Run center. That’s ok though! This pickup will be a lot more fun. The Brooklyn Half Marathon Expo is where you will have to pick up your bib and you might as well give yourself some extra time when you are there because there is much more to do than just pickup your race bib!The expo is open Wednesday thru Friday from 12pm – 10pm in Brooklyn Bridge Park – Pier 2. In addition to picking up your bib there will be tons of merchandise on sale, live music, food trucks selling their fare, course strategy tips from NYRR coaches and one hell of a view of the Manhattan skyline! The expo is outdoors so come on out and enjoy yourself in the NYC open air! Whatever you decide to do at the Half Marathon Expo just make sure you get there because that is the only way for you to obtain your bib! Unlike other NYRR races, you won’t be able to pick up your bib the morning of race day! If you can’t make it you can assign someone as your proxy for pickup. They will need your race confirmation form, which you should be able to get from your race profile and a copy of a legal form of identification. With the Brooklyn Half starting at the Brooklyn Museum and ending at Coney Island, public transportation is really the only way to get to and from the race. Keep in mind however that it will be Saturday morning and the subways tend to alter service on a lot of subway lines. Be prepared to get up very early and plan for a long commute if you are going go the race from any where other than Brooklyn. The 4 or the 5 trains are your best bet. Depending on which wave you are in will dictate which subway stop to get off at. Wave 1 runners should get off at the “Franklin Avenue subway station“. Wave 2 runners should get off at the “Grand Army Plaza Station“. The the subway stop and where they are relative to the starting corrals is in the map below which has been provided by New York Road Runners. In order to verify that the subway nearest you is running on Saturday morning, or if you want to see how often it will be running at an early time of day, I highly suggest using the MTA Trip Planner website . The website allows you to set your starting point as well as your destination and it will give you the best subway route to get you to your destination This trip planner will tell you of any interruption in service on Saturday morning and will also give you the approximate time when your train will be arriving. I have used it before and have found it to be very reliable. Additionally, folks travelling from Queens or Long Island might want to consider using the Long Island Railroad as an option to get to the start. The Atlantic Terminal railroad station is not too far from the start area. There is a 5:31AM train leaving Jamaica and arriving at Altantic Terminal at 5:51 for wave 1 runners. Then there is a 6:18AM train arriving at 6:39 for wave 2 runners. As for cabs and Ubers of course they are an option but be ready to jump out of them blocks from the entrance to your corral as traffic is sure to build in the surrounding blocks to the corral entrances. Adding to the potential delays is the real possibility of rain for that day. Be prepared for slower traffic as a result of this. As with public transportation, factor in some extra time into your cab ride just to play it safe. Finally do you insist on driving and having your car at the finish line? I highly suggest against it! In years past NYRR has had access to the New York Aquarium Parking lot. Not this year. As for the MCU Park parking lot? That lot is off limits because it will be the bag check are to pick up your bags after the race. Outside of local street parking, realistically, there is no where reliable to park by the finish line or even the starting line for that matter. But if you insist on driving, consider parking near the Barclays Center as there are plenty of garages there and the streets should be open in this area as the race does not pass thru that section of Brooklyn. The start line is about a 10-15 minute walk from Barclays center and the train ride after the race from the finish area is about a 30 minute ride. In my opinion if you don’t want to risk getting on public transportation, this might be your best bet! So all the scrambling to get to the starting area via different forms of transportation but what time do we have to be there? See the infographic below brought to you once again from the good folks at NYRR. Infographic showing important times that you should know for race day! Courtesy of NYRR! Oh yes – some of the times listed for wave 1 are EARLY but don’t think they are lenient on them just because they are early. For example the bag check closing at 6:10am is a big deal. Why? Since the finish line is no where near the start, all bags are transported to the finish line. If you are in wave 1 and you don’t check your bag in by 6:10am, the vehicles transporting your bag will likely be long gone shortly after 6:10am. Of course you can check your bags in with the wave 2 folks but those vehicles may not get to the finish and be set up for drop off until later. For those that are considering not dealing with bag checking, as of the writing of this blog, race day is calling for a 90% chance of rain. With these odds, we are likely going to get wet. I would personally want to change into a dry set of clothes at the end of the race, but hey, that’s just me! As for corral closing time, if your corral closes, you will likely be sent to the last corral in your wave. If you weren’t assigned anywhere near the last corral, this may put you into a frustrating position of having to weave in and out of runners that may not be running at your pace. Therefore it’s important to note the times and factor in extra traveling time so that you have enough time to meet all of the suggested checkpoints above. Be reminded that after you check your bag in, you will have to go thru a security check point similar to that at an airport that requires you to empty your phones and metallic objects into a bin and then walk thru a metal detector. Many folks don’t realize how much you will have to do before you enter your corral. Members of We Run NYC Running Club at the start of their BK Half Trial Run! So you nailed your commute, had a great breakfast, mastered bag checking and security and now you are finally in your corral. Now what?? Relax and smile like the folks in the picture above. Why are they smiling? 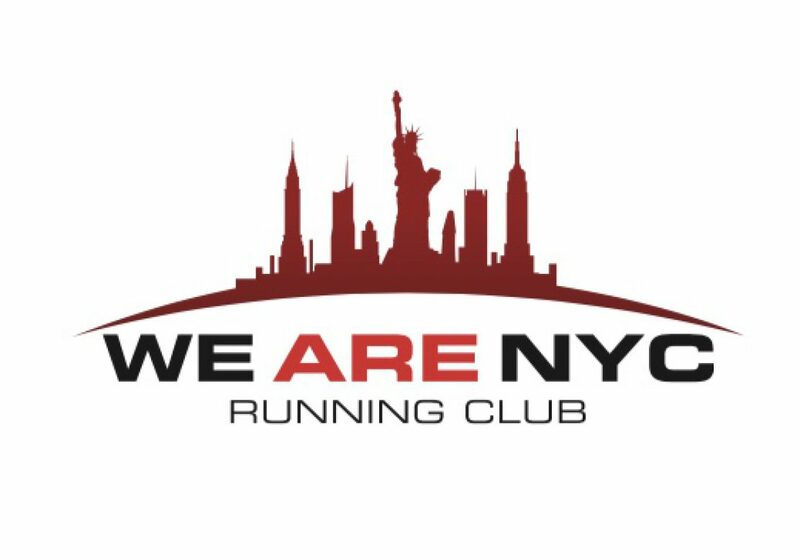 Well, myself, along with about 40 other awesome runners who for the most part are members of We Run NYC Running Club took a test run of the course a couple of weeks back. Here’s how I saw the course on that delightful day! Miles 1-4: The first mile for the most part is down hill as you ascend down Washington Avenue. WARNING! Resist the temptation to fly in this mile as it is only mile 1! As you loop around Empire Blvd to come up Flatbush Avenue, you might recognize this stretch if you ran the United NYC Half Marathon. This stretch of Flatbush Avenue is the area where the starting corrals were located for the United NYC Half. This stretch takes you up a slow hill that will bring to the end of mile one. You will then come to Grand Army Plaza where you will circle the plaza and go back down Flatbush avenue the same way you came up it before. So that uphill you climbed in mile 1, you will be going down the hill as you begin your 2nd mile. But once again, hold back on the speed! The toughest part is yet to come! From here you will run on the perimeter of the park until you enter Prospect part just before the 4 mile marker. A beautiful running park, Propsect Park will bring you the toughest hills of the race! Miles 5-7: These 3 miles are entirely within Prospect Park. The park itself is a beautiful oasis in the middle of Brooklyn. But beauty may not impress upon you during the race because the miles within the park are where your hardest work will be done! I am just going to say it – mile 5 is almost entirely uphill. There may be 2 small declines but you are climbing in elevation for the entire mile. This is why I mentioned to hold back on the throttle when you ran those down hills in the first 3 miles. But at the end you know yourself best. If you are a hill runner and haven’t run hard in the race up until this point, then go for it! If you tend to despise hills, then take a mulligan in mile 5, get thru it and look ahead to mile 6 because this is where the party begins for most. Mile 6 will take you down a gradual hill after which you will wrap around the west end of the park on your way to exiting the park at the end of mile 7. Once out of the park, you will hang a left and run onto Ocean Parkway who will be your friend for the next 6 miles! Miles 8-13: These miles are why people love the Brooklyn Half Marathon! With the exception of going under an over pass and having to climb back up to street level on a couple of occasions, you won’t see a hill the rest of the way. This stretch of the race will take you straight down Ocean Parkway where a lot of local residents will be cheering you along the way. The only intriguing section I find about Ocean Parkway is around the 11 mile marker. Right around Ave W, the road hooks slightly right and when it does, you can finally see the end of Ocean Parkway for the first time. Here is where some runners will make a decision. At this point, you only have about 2 miles to go in the race. You can go for it and hit those final two miles hard if you have the endurance to do so. Alternatively, you may not want to allow yourself to pick up the pace if you can’t hold that pace for two miles. Either way, you can smell the finish line. As you cross under the Belt Parkway, you will be a mile from the finish. Coney Island will start to come into view. At the 20k marker you will leave Ocean Parkway for Shore Road which you will take until you see the historic Cyclone Roller Coaster where you will make a left and head to the boardwalk for that last 0.1 miles. Theres something about crushing 13.1 miles and finishing on the boardwalk at Coney Island! Congratulations – you made it! Once you have crossed the finish line in front of Tom’s of Coney Island, your personal celebration is just beginning. The post race walk off will lead you down the boardwalk just past MCU Park, home of the Brooklyn Cyclones. The walk will lead you into the parking lot of MCU Park, where you will retrieve your checked bags, assuming you checked one in. Either way once you are done with the bag check area, NYRR has some post race festivities inside of MCU Park which you will be able to access directly from the parking lot area. If rain did fall and you are looking to get into those dry clothes I recommended bringing earlier, kudos to you for packing them and rest assured that you will be able to do so once inside MCU Park. Once you are done with your day at the race, NYRR members can have their medals engraved at the NYRR Run Center! You can head there right after your race as they will be engraving from 11:00am – 5:00pm on race day! Too tired or don’t feel like heading back to Manhattan after the race? No problem. Engraving will also be done on Sunday May 20 from 10:00am – 5:00pm and finally on Monday May 21 from 12:00pm – 7:00pm. In closing, this course is a fast course and has been known to produce a lot of personal records. You can nail your training for this race however if you don’t plan your logistics right, you may end up stressing yourself out prior to the race and it may derail your potentially strong results. However if you plan correctly, you could walk away with not only a personal record but one hell of a great day running the street of Brooklyn! Good luck to all of the runners running the Popular Brooklyn Half Marathon on Saturday! If you found this information helpful, follow me on twitter @catrunsnyc or on Instagram @catrunsnyc_2018. Looking for a fun group to workout with and run with? Look no further than my fellow teammates at We Run NYC Running Club! Look for them as well on social media: Twitter: @WeRunNYCRC or on Instagram: @WeRunNYCRC .